We’ve made great strides as a society in understanding mental illness and supporting those who suffer from it, but we’ve still got a long ways to go. 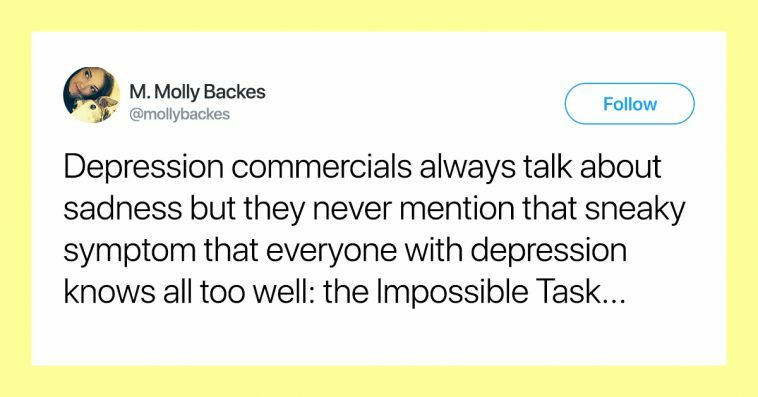 This is especially true for those of us who don’t know what it really feels like to live with a disorder such as depression—a point Twitter user Molly Backes (@mollybackes) really hammered home in a recent Twitter thread. 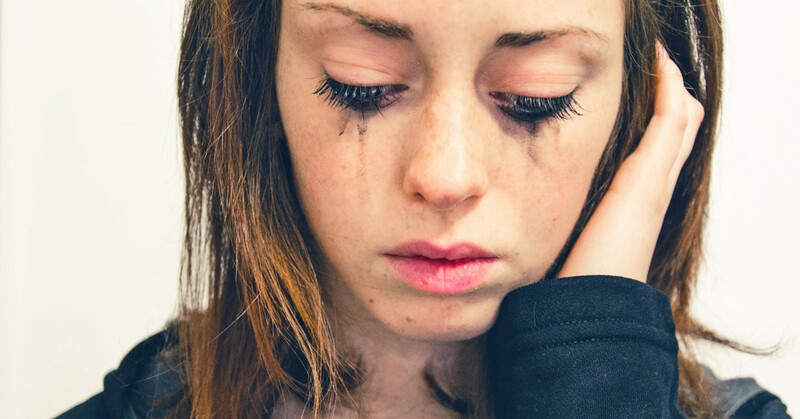 Backes’ thread went viral because it resonated with so many in capturing the ineffability of depression, particularly the aspect she deems The Impossible Task. The Impossible Task, as outlined by Backes, cannot be defined by a specific. It varies from person to person and hour to hour. What to others seems mundane and simple appears insurmountable to many who suffer from depression. The Impossible Task isn’t actually impossible. But it certainly appears that way. And more often than not, people struggling with depression beat themselves up over the seeming insignificance of the task at hand. Backes encourages those who also have Impossible Tasks to cut themselves some slack. She reminds them that asking for help—even for a seemingly simple thing—is nothing to fear or be ashamed of. “The people who love you should be glad to lend a hand,” she writes. And she’s absolutely correct. 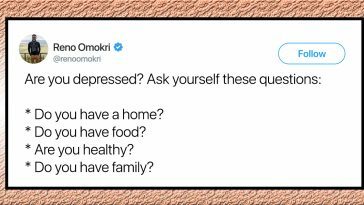 Similarly, she asks those of us lucky enough to live without depression to be more attuned to the needs of those of us that do. Simply giving somebody a ride to the pharmacy, helping them do the dishes, or even just dropping some mail off at the post office could be a transformative gesture. Backes notes a positive of depression—that it allows for a greater sense of empathy towards fellow man. Backes’ sentiment quickly went viral, as more and more people on Twitter chimed in to share their own experiences with The Impossible Task. Many were grateful Backes so eloquently phrased a manifestation of depression they’ve struggled to articulate their entire lives. As some of the Twitter users above expressed, if you’re currently facing your own Impossible Task (or bevy of them), know that you aren’t alone. Know that it’s ok not to get to them today, or tomorrow. And most importantly, know that it’s always, always ok to ask for help.